While I was on a tour of one of the Muslim states, and in a religious meeting, one of the citizens of that country asked me, "Why are we so emotional and agitated whenever we see people like you, or whenever your country with its Holy Mosques is mentioned?" Another one asked, "Why do people coming back after performing Halt or Umrah or passing through the city of the Prophet (blessings and peace be upon him), radically change their behaviour from bad to good?" This line of questioning continued and the original purpose of the meeting vanished. Because some of the questioners burst into tears, I changed the theme of the meeting, and talked about the strong link that connects the hearts of the believers with the Islamic rituals and the influences of this link in connecting the hearts of the believers with those who sponsor and serve these rituals. I answered these questions and stated briefly that the Muslim and the believer are good at heart by instinct, but the incitement to evil and the vicissitudes of time seize the heart of the Muslim and enclose it. Evil is just a cover and not deeply-rooted in the heart of the believer. To mention, see or visit and to perform the rituals for Hajj or Umrah wipe out evil, purge the heart of the believer and strengthen his belief. It we ask anyone who performed Hajj or Umrah how he felt when wearing the Ihram, he would state that, when he got close to the Meeqat and the borders of the Sacred Mosque, and when he took off his regular clothes to put on Ihram, his soul changed and his heart was freed from worldly ideas, evil thoughts and latent wrong. 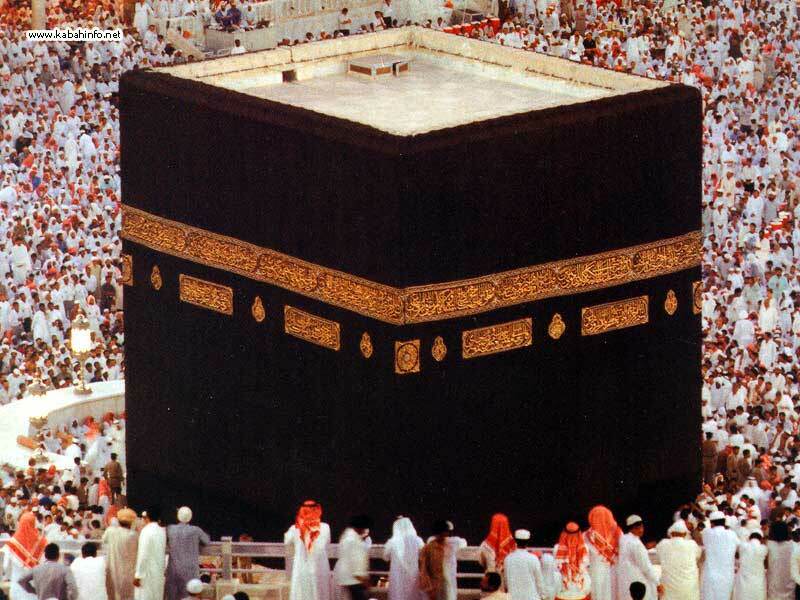 He would add that, when he stepped into the Sacred House and saw the Holy Ka'bah, he had been consumed by such strong sensations that he gave up thinking of worldly affairs and remembered the world to come. Every individual in this case returns to his homeland with changed views and feelings and gets closer to goodness and truth. I would like to draw the attention of the reader to the fact that, if Allah, the Almighty, implants the love of something deep in the heart of a person, he is always devoted to what he loves. The rituals of Allah are greatly loved by believers, and the Custodian of the Two Holy Mosques (may Allah protect him) is loved by all believers because he committed himself to the service and care of the Two Holy Mosques. He worked day and night for promoting the welfare of all Muslims and the citizens of the Kingdom. He devoted his attention to the service of the Holy Ka'bah and the Two Holy Mosques in the forms of extensions and renovations that stand as shining testimonials through the days, months and seasons.